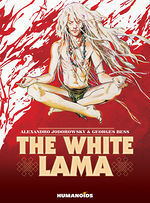 Omnibus edition includes all 6 volumes of the series. 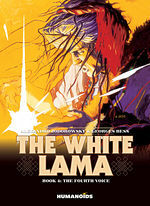 Available in the UK in July 2014. 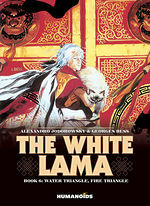 A Tibetan-set mystical adventure of treachery, martial arts, and spiritual redemption. 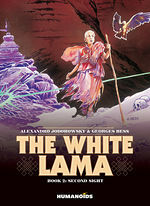 Late 19th century Tibet, after the Grand Lama Mipam dies, Gabriel, the orphan of white explorers, is chosen as his reincarnation. 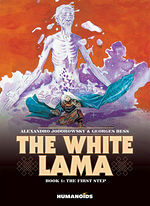 As he is raised by a local family, the seeds of corruption and despair sprout across the land, and it will be up to the "White Lama" to fight his way back to the light. 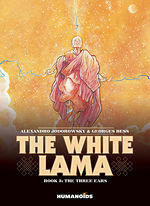 The White Lama is unlike most other comics out there. It’s unique in telling a story that’s less about the battle and more about the journey; the endurance of one boy whose quest to be a man and become who he’s destined to be... I highly recommend [it].